A major player in the Indian resale-vehicle ecosystem, Mahindra First Choice Wheels provides products, services, and platforms that seek to fulfil the needs and solve problems for retail and wholesale customers through its “on-the-ground” and “in-the-cloud” capabilities. On July 2nd, 2018, the company announced the appointment of Mr Ashutosh Pandey as CEO. Soon to replace Dr Nagendra Palle, Mr Pandey is equipped with an experience of over two decades in leadership roles across e-commerce, retail and functional roles in diverse industries. He was earlier associated with the Tata Group where he handled his last assignment as the CEO of Tata Cliq, Tata Group’s digital commercial venture. According to Mr Rajeev Dubey, President (HR & Corporate Services) and CEO (After Market Sector), Member of the Group Executive Board, Mahindra Group, the rich experience of Mr Pandey will contribute immensely in building and connect the Used Car ecosystem supported by technology-enabled products, services, and operations. An MBA from FMS Delhi, Mumbai-based Ashutosh Pandey holds a BE degree from BIT Sindri. 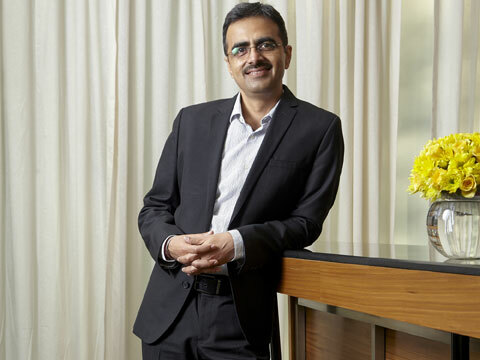 Before taking charge as CEO of Tata Unistore in 2014, Mr Pandey was the COO of Landmark E-Tail Limited, Trent’s online retail business, from 2013 to 2014. He has also earlier served as the COO and Business Head of Landmark, one of the leading leisure and entertainments retailers of India from 2009 to 2013. During this period, he was entrusted with the task of bringing about a turnaround in the retail format, besides building the brand, customer connect and store operations. In 1998, he had joined the Tata Group as a member of its flagship cadre, the Tata Administrative Services (TAS). In the course of the next sixteen years, he had taken up challenging assignments in Tata Global Beverages, Rallis India, Tata Communications and the Taj Group of Hotels. The sectors under his charge encompassed marketing, strategy, business development, and project management. He also worked with Accenture Consulting for a year, where he was responsible for the post-merger integration of two big Companies.